Cue is a design-driven Australian fashion brand with a focus on creativity and innovation. Still proudly owned by the family who started it all, Cue has been at the forefront of Australian fashion since 1968. Industry awarded and accredited by Ethical Clothing Australia, Cue is the largest local manufacturer of fashion in Australia. With seasonal campaigns consistently featuring the world's leading models, and new styles arriving each week, Cue is constantly at the forefront of fashion. From the perfect dress for any occasion through to impeccably tailored workwear, Cue's weekly new arrivals seamlessly blend must-have classics with directional statement-making pieces. 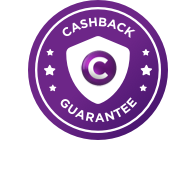 Browse the Cue range via the 'Shop Now' button to earn Cashback on all of your Cue purchases.